Hi there. Thank you to everyone who responded last month. I was pleased to give away 10 of the new Color Brief Ebooks, a small gift but hopefully useful. I've now completed a compilation edition 'The Tonal Brief' which includes all 6 tonal color families, mini color swatches for each and a quick way to identify your own color family. 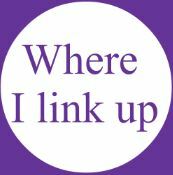 The feedback about your favorite articles was great, no doubt that Color (every which way) came top, then Capsule Wardrobes and how to look good on a budget - I'll keep them coming. You've been asking for Capsule Wardrobes and I've found just the thing. 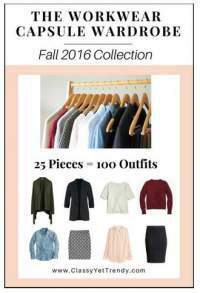 These fabulous Ebooks come with a complete capsule wardrobe guide for the Fall season. A Capsule does not mean that everyone has to look the SAME - it gives you the basic items to work with so you can interpret the items to suit your own style. We're all different. 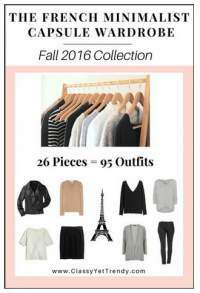 WIN a copy of The French Minimalist Capsule Wardrobe, just tell me in a few words why you need it - the best answer wins! This is me in my new top from Covered Perfectly and it fits me in all the right places! I don't do 'skimpy' - I want something that covers the midriff and tummy area and I like a neckline that doesn't make me feel too hot. Oh who'd be a woman? My daughter couldn't believe that this gorgeously soft fabric is totally natural and made from European beechwood - so it's breathable and I'm helping the planet too. Get all wrapped up for Autumn with easy styling and snuggly warmth. 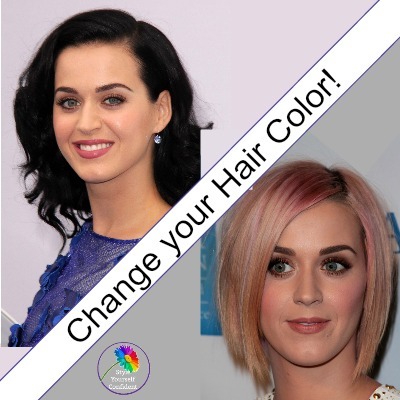 Change your hair color successfully! Want to change your hair color? 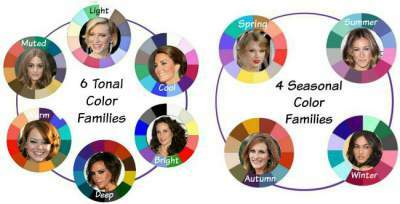 We all do it but if you choose a shade that flatters your complexion then you'll always get a better result. 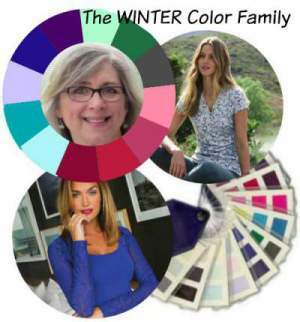 It's now easier to navigate the website to discover all the details you want to know about the 10 Color Families. Look at the dark blue Nav Bar at the top of your screen and point to Color. 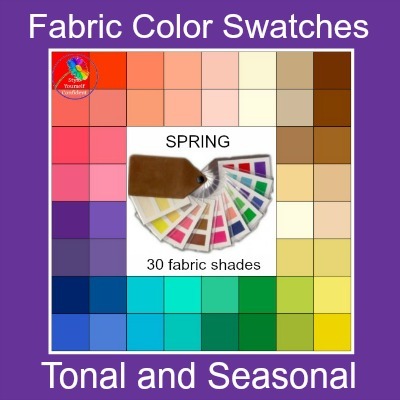 Bring your cursor down to Tonal Color Analysis' to see all Tonal families and 'Seasonal Analysis' for the 4 Seasons. If you want to see my explanation for both Tonal or Seasonal click into the relevant button. Special occasions call for extra confidence so when Marcia was looking for a Mother of the Groom dress, she needed to look her elegant best and fit in with the bride's scheme. 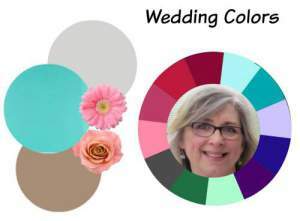 "The wedding color mockup is really nice, it makes a difference having the colors with the face in the collage, very interesting to see how color works. I found a navy dress that looks great and have gone through my wardrobe to eliminate some items that weren't right. I feel more confident when dressing now. Thanks so much for rushing to do that for me." 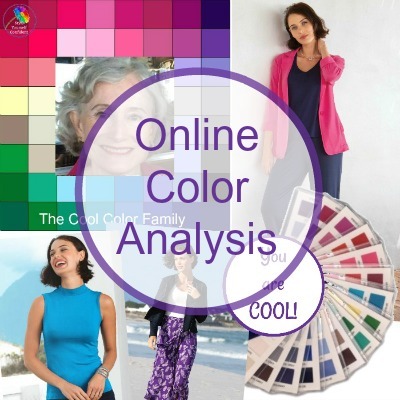 As I'm away for a couple of weeks in December and then family time will take over, I'm afraid I cannot offer Online Color Analysis from about the third week of November until after the Christmas Holiday. 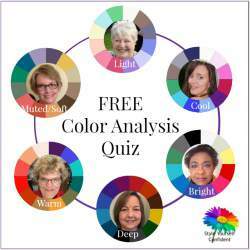 If you'd like your colors analyzed in readiness for the Holiday season, please don't leave it too late as I hate to disappoint.